To read the Mayor’s full letter to Uri L’Tzedek congratulating the organization on the expansion of the Tav HaYosher, click here. One of the most important messages of the prophets of Israel was that justice and law are the foundations of Israel. When Abraham was presented by God, he was defined as a righteous person that will direct his followers to keep in the way of God by doing justice and adhering to the law. Since then, the prophets returned on these principles and argue that these principles should be implemented as a condition to visit the Temple and bring sacrifices. It is a privilege for business owners to get the “stamp of integrity” (Tav HaYosher) and thus to be kosher in every sense of kashrut – both kosher food, kosher behavior, and other related areas. It is a great mitzvah to encourage these business owners, to behave according to the way of Torah and fulfill all the responsibilities of a kosher business – between man and God and between man and his fellow man. The unparalleled vision of Uri L’Tzedek is vital to the continued vibrancy of Orthodox Judaism. By imbuing the ancient wisdom of Holy Torah into contemporary issues, Uri L’Tzedek leads the way in ensuring a dynamic role for Judaism to take on challenges that face the most susceptible in society. Uri L’Tzedek’s dedication to an egalitarian understanding of Judaism’s eternal ethical practices is inspiring. Rabbi Yanklowitz and Uri L’Tzedek have done a marvelous job in making the words of the Sages tangible to a new generation. I am honored to support this organization. Our sages teach us (Yerushalmi, Pe’ah 1:1) Tzedakah and Gmilut Hassadim are equivalent in their weight to all the other commandments of the Torah. However, in the common conception and maybe in our daily practices, the commandments directly connected to our relationship with the Almighty seem to totally outweigh Tzedaka and Tzedek in our religious life. It is an honor for me to salute Uri L’Tzedek for taking upon itself with great commitment to bring us back to the true balance of religious, Jewish life. Through society where each individual will feel an obligation towards social justice, Uri L’Tzedek contribute to tikkun olam under the sovereignty of Shadai, bringing us closer to each other and thereby closer to G-d.
“In the 21st century, the entire Jewish community must engage as global citizens to defend the most vulnerable – both overseas and in our own communities. Uri L’Tzedek is challenging and inspiring the Orthodox community to learn, develop leaders and effect change on the most pressing moral issues of our time. “For over 20 years, our work at PANIM has been focused on inspiring the next generation of Jewish leaders to frame an approach to Jewish life that was deeply committed to Jewish values and to social responsibility. It would be hard to find a development more gratifying to our own raison d’etre than the establishment of Uri L’Tzedek. The Jewish community’s diversity needs to be a source of strength and not of divisiveness. Uri L’Tzedek brings the important voice of Orthodox Jewry to the table of social justice issues that needs to be addressed by the American Jewish community. Their leadership on the Agriprocessor kosher meat plant in Postville, IA was exemplary and served as a wake-up call on the need for an ethical basis for kashrut. “The Torah tradition teaches us not only to be excellent Jews, but to be excellent human beings. Uri L’Tzedek is a vital, dynamic effort to remind all Jews that we have responsibilities to the community at large – Jewish and non-Jewish. By fostering the Torah ideals of social justice, the leaders and supporters of Uri L’Tzedek enable our community to be more fully religious. “It has been a privilege to track Uri L’Tzedek’s rapid success and growth from afar, as well as to serve – in whatever small or large way – as a source of inspiration and guidance for their cutting-edge work. There is a growing international movement of young Jews who are committed to both halacha and social justice, to shifting the public discourse to include issues of Tzedek alongside those of Tzedaka, and to creating a more just world informed by deeply-rooted Jewish values. Uri L’Tzedek plays a crucial role in this growing movement. “I am honored to add my voice in support of Uri L’Tzedek. Its mission combines study and action on behalf of causes that are vital to our society as Jews and Americans. This dynamic and thoughtful organization properly focuses upon justice as a core element in Judaism. Uri L’Tzedek is a vital organization that helps realize the Torah’s values of helping the most vulnerable in society. One of the crucial missions of Orthodox Jewry today is to create a community dedicated to social justice alongside our commitment to Talmud Torah and all Mitzvot Ben Adam L’Makom. The Tav HaYosher, which gives certification to kosher restaurants that treat their employees according to Torah’s ethical values, is at the forefront of shaping such a community. May their holy message only spread and their activism only find success in transforming the world. Uri L’Tzedek provides a needed Orthodox voice to the Jewish quest for justice and social action. It has the potential to bring the community forward toward a greater sense of responsibility for their actions. I have worked with Shmuly in his written statements and applaud their goal in restoring the virtues of tzedek, mishpat, hesed, and rahamim to the Orthodox community. May they go from strength to strength and remain ever true to the vision for social justice through activism. It is not easy to wake a sleeping giant and that is what Uri L’Tzedek is doing. Our tradition is filled with a fierce commitment to the values of justice – emerging from the words of the Torah and flowing through rabbinic literature to our own time. The Orthodox world must reclaim these core values as part of what it means to be a member of our community. Uri L’Tzedek seeks to remind us of the central nature of the commandments that legislate relationships among human beings. A commitment to Halakha demands a commitment to the values being taught by Uri L’Tzedek. Jewish law has always demanded that we develop concentric circles of concern when we look out at the world around us. The idea that our first responsibility is to those closest to us, was never intended to diminish or minimize our obligations to the society that lies in the circles beyond. At a time when so many in our community lack even the spiritual language with which to describe this work of social justice, Uri L’Tzedek has shown all of us how it is done. Under the leadership of Rabbi Shmuly Yanklowitz, it has blazed a path that we can all follow. In my capacity as a rabbi and Jewish educator on a college campus, I have been impressed by the consistent success of Uri L’Tzedek in inspiring my students to care about the Torah’s social message of tzedek u’mishpat, to appreciate how Orthodox Judaism is capable of self-reflection and renewal, and to see themselves as Jewish leaders capable of shaping the values and ethics of the Jewish community and impacting the broader world. Uri L’Tzedek educators have come to my campus and engaged Jewish students in Torah study that is highly relevant and personally meaningful. Uri L’Tzedek shabbatonnim have attracted students from my campus from a broad range of religious backgrounds and introduced them to Jewish religious activism. Uri L’Tzedek has partnered with students within my community to bring our campus kosher dining hall under the supervision of the Tav HaYosher and, in so doing, are introducing a socially responsible Orthodoxy to the entire university community. Uri L’Tzedek has been a wonderful and valued addition to the Jewish community. Raising a thoughtful moral voice to many issues which define our daily behaviors, as Jews and as members of a larger society, Uri L’Tzedek has reminded us that our Tradition is not silent on ethical behaviors any more than it is on our ritual ones. The ethical standards espoused by Uri L’Tzedek are built on a firm halachic framework. Whether in areas of kashrut, business, or the environment, the mandate to align our communal practices with that framework represents a clarion call to all of us to never be cavalier about our responsibilities or dismissive of the needs of those deserving of our care. It is sad that we need this advocacy, but it is welcome indeed that we have such caring and careful advocates. We look forward to the day, may it come soon, when we no longer need this voice and this advocacy. Until then, all of us should applaud the important leadership of Uri L’Tzedek. “Uri L’Tzedek is an important organization which has not only become a powerful voice for social justice in the Orthodox community and beyond, but has also become an important link for activist minded Jews back to the core texts of their tradition. Uri L’Tzedek has pushed Orthodox Jews to look beyond the borders of its own community to seek people for whom a just social order has not been found. The Tav HaYosher is an incredible step taken by Uri L’Tzedek to demonstrate that our Torah’s values and concerns in restaurants and food establishments extend beyond just kashrut and shabbat observance, but equally values the rights and treatment of those that work in these places. Thank goodness we have an orthodox organization that has put at the top of its agenda relief of oppression and justice. For with these we bring meaning and sanctity to our ritual observance. “Zion will be redeemed with justice.” Justice is where all redemption undoubtedly begins. Yet if it is to be more than just a catching slogan or a capitulation to the political correctness of the moment, this passion for justice must be enlightened through deep and self-critical learning in Torah as well as all of the secular disciplines that promise to aid us in comprehending our shared human condition. Justice calls on us to transcend the sound-bite culture and to join courage with awesome humility. I am proud to support Uri L’Tzedek in its quest to promote, extend, and embody the commitment to justice throughout our community. This is a quest we should all be partners in. Before I make the Hamotzi and break bread, I wash my hands. The mitzvah of “negel vasser” purifies my hands and prepares me for a holy act. Yes, eating is a holy act. In Judaism, the old saying “you are what you eat” applies equally to our body and soul. To eat in holiness, I must know that the food was prepared in a fair and just environment. This is just one of the reasons I am so grateful to Uri L’Tzedek. When I eat at an establishment that bears the Tav HaYosher, I know that there is no blemish on my holy act. Contemporary society, with its powerful globalizing forces and high-tech communications, is often remiss in assessing, re-evaluating, and adhering to core values and ideals. Uri L’Tzedek plays a crucial role in creating a forum and crafting a space to reinforce those values for which we stand, by educating, empowering, and inspiring members of our community. I have had the distinct opportunity to work together with Uri L’Tzedek to raise awareness among a group of adolescents who were inspired not just to talk about, but to act upon those values and make a meaningful difference in their world. The moral compass of our youth should continue to be directed by the education and enthusiasm of groups like Uri L’Tzedek. The Torah is more than a book of law, it paints for us a life of holiness, ethical conduct and love of god and people. As the Ramba”n writes, we must take care not to be a minuval birishut hatorah, a person who is disgusting while seemingly keeping to much of the letter of the law. Though Derech Eretz is the foundation for Torah, it is often hard to define and codify, and thus easy to fool ourselvs into believing we are being as ethical as the Torah wishes when we might not be. This is where Uri L’Tzedek comes in. Though we judge all meritoriously, just as we must take care to be sure our food is kosher, that even someone we trust, that even we ourselves, have not rationalized something not completely kosher as kosher, a forti ori this is so when it comes to treating others, especially those who work for us and under us ethically. My berachot to Uri L’Tzedek in all of their holy work of making the world a place of yashar and tov. Uri L’Tzedek is so important because it reminds us that in every encounter with human beings and indeed all of God’s creatures we are also encountering God. That reality brings with it awesome duty to protect the dignity of all. Their focus prompts us to rethink all of our relationships and to rework our assumptions of how we interact with others. Uri L’Tzedek works like a Shofar, awakening us to our responsibilities. The NYU Jewish community has been privileged to work with Uri L’Tzedek from the start, hosting shabbatonim and providing student interns for their inspiring mission. I have found Uri L’Tzedek’s message particularly resonant to young Jews, Orthodox and non-Orthodox alike. The fusing of ancient teaching with an up-to-date understanding of the social and economic reality is of critical importance to the generation of tomorrow. Our tradition teaches that God had “singled Abraham out” so that Abraham would instruct his descendents “to keep the way of the Lord by doing what is just and right.” The Torah is very clear; the way of G-d is good, and doing good is G-dly. Each and every time we confront the world with deeds that are just and righteous, each and every time we reject a stance of indifference and impartiality, by assuming personal and/or communal religious responsibility for the world that surrounds us, we enter into the path of G-d, into the presence of the Holy One. The important work of Uri L’Tzedek boldly invites each of us to to walk in this path, as heirs to Abraham and as contemporary Jewish leaders. Rav Joseph B. Soloveitchik, in his ‘Five Addresses’, relates to the possibility that a certain mitzvah can become ‘orphaned’- neglected and ignored, until a savior comes along and redeems it. It is not merely an orphaned mitzvah that Uri L’Tzedek’s work has begun to redeem, but an orphaned axiom. The orthodox movement’s lack of focus on issues of tzedek chevrati has been an unfortunate accident of recent history, and Uri L’Tzedek’s projects and initiatives provide a sorely needed corrective, returning matters of tzedek umishpat to center stage, where they rightfully belong. Chizku Ve’Imtzu! It is my honor to be associated with the holy work of Uri L’Tzedek which is nothing less than a “kiddush haShem” in our world. On Psalm 68 v. 2 “Let the Lord arise and scatter His enemies and may those that hate Him flee before Him” the midrash declares that “this is one of five times (in the book of Psalms) that David call on God to arise. But we do not find that God responds to him! When does God arise? (It says in Psalm 12 v 6) “for the plunder of the poor and the cry of the indigent, now will I arise, says the Lord….”. Uri L’Tzedek reminds us that to be authentic bnei Torah we have to be on “God’s side”, pursuing justice and behaving with compassion for all. May its work continue michayil el chayil. The pursuit of social justice is precisely what ethical monotheism is all about. In the words of the Maharal of Prague “love of all creatures is also love of God, for whoever loves the One loves all the works that He has made. When one loves God, it is impossible not to love His creatures. The opposite is also true. If one hates the creatures, it is impossible to love God Who created them” (Netivot Olam, Ahavat haRe’a). Accordingly the work of Uri L’Tzedek expresses the most noble values of our Jewish heritage and performs a true KiddushHaShem, sanctifying the Divine Name in the world. I express my deepest appreciation for all those involved in its sacred work. Uri L’Tzedek is about taking religious Jewish life and making sure that we apply it in the broadest context as well. It is important not only for the impact they have when helping to address social justice issues; it is just as important for us as individuals as well, to ensure that our religious compass remains intact. I support their work, and have encouraged Pardes students to do so as well. The prophet Amos ridicules the Israelites for what he considers their hypocritical behavior – keeping the Sabbath and holidays only to open up their stores the next day and cheat their customers. The prophet Jeremiah accuses the Judahites of robbing their fellows and then going to the Temple with their earnings to sacrifice to God, imagining they can still win God’s favor. The great Second Temple sage Hillel stated that the core principle of the Torah is to avoid doing to others what one does not want done to oneself. Rabbi Akiva said it was loving one’s fellow as one loves oneself. Throughout Jewish history there has been a prophetic voice – a rabbinic voice – calling out for justice and proper treatment of one’s fellow human. In our generation that divine voice still calls, and one of its leading representatives is Uri L’Tzedek, with its many important social justice initiatives. May this organization go from strength to strength. Uri L’Tzedek breathes life into a Judaism that is both Orthodox and Modern. Torah does not encourage humanity to be ritually compliant robots; it demands that we always do what is right and good, as active moral agents. Just as the midwives of Egypt did not comply with Pharaoh’s genocidal decree to murder Israelite neonates, Moses saved an Israelite woman from an Egyptian, an Israelite victim from an Israelite bully, and Midianite women from abusive men. God made humankind to be “very good.” That’s why we are commanded to do what is right and good. God did not call Moses because he was wise or smart; Moses as called because he acted on his moral compass. Like Moses, Uri L’Tzedek translates the Torah’s message in ethical action, pursing and teaching righteousness, doing good by copying God, making goodness and right part of an agenda of Holiness, where piety is Praxis that fixes our flawed world by repairing God’s sparks and the brokenness of the world that God calls upon us to repair. May doing right be our light. The Talmud famously debates whether study or action is more important, concluding somewhat humorously and paradoxically that study is more important because it leads to action. If you were looking for an organization best described by this classic idea, Uri L’Tzedek would be the obvious choice. Rooted in deep Torah learning that refines and inspires the action, but always remembering to actually do what needs to be done, Uri L’Tzedek provides an important corrective to a trend of intellectualism absent social action. They’re worthy of everyone’s support in helping sanctify the world in God’s great name. Without doubt, it is in our interest to speak up for social justice; we have suffered more than most minorities from discrimination. Moreover, most of us fully share the commitment to equality irrespective of gender, colour and race of the societies in which we live. On the other hand, our foundational texts incorporate material such as the call to genocide of the “seven nations of Canaan” which run entirely contrary to the doctrine of universal human rights, while the halakha discriminates systematically between Jews and gentiles and against women. Liberal Jews may simply reject texts and rules which do not fit their current aspirations, but the Orthodox leadership must confront the dilemma while maintaining faith in the integrity of Torah as a whole. Certainly, we can find traditional texts on which to base calls for even-handed justice, but at the same time we must not be in denial with regard to the more problematic issues. I pray that Uri L’Tzedek, among the Orthodox leadership, will be inspired with the understanding and confidence to guide the Jewish public to interpret and prioritize the sacred sources consistently with the values they hold sacred. From the very beginning, the newborn Abrahamic nation was charged with bringing blessing to all the families of the earth (Gen. 12:3). As I see it, everything that has evolved from that monumental moment to ultimately become Jewish practice until this very day MUST be viewed first and foremost through this primary lens: does it contribute to the greater good of the world? Uri L’Tzedek is at the front lines of creating a more inclusive, just and caring society. We owe it a tremendous amount for being a bridge between our Orthodox community and its rich Torah values and the activism that our society and our world desperately needs. We as a people have much work to do, to fulfill our ultimate mission, and Uri L’Tzedek is a guiding light on this holy and historic path. Thank you to everyone involved for all your sterling work! Uri L’Tzedek is a role model for all Jewish organizations. Its mission and goals are the closest possible manifestation of the charge of the Jewish people to fill every dark corner of the world with justice, compassion and dignity. Uri L’Tzedek does not only call for tikkun olam, but tirelessly works to implement the shining social ideology of the prophets of Israel, through a variety of thoughtful and creative programs. Their eyes are constantly on the lookout for hints of injustice and suffering, and their solutions are powerful and effective. The founder & president, Rabbi Shmuly Yanklowitz, is a rare leader of endless energy, generating inspiring and moving initiatives, flowing from a heart of genuine love and compassion. The name Uri L’Tzedek says it all. If we hope for justice, we must wake up and act. Uri L’Tzedek has been a beacon for this idea in the Jewish world, not only teaching and disseminating impactful and relevant Torah content, but calling upon us to take action, and providing us with tools and opportunities to do so. My dear friend Rabbi Shmuly Yanklowitz is a living inspiration of how a dedication to God and Torah translates directly into impassioned activism to repair society and the world. This is a core Jewish value, one that Uri L’Tzedek does an excellent job manifesting. Anyone dedicated to the Jewish People, truth, justice, and the world, would do well to connect themselves with this great institution. 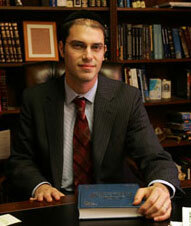 The Board of Rabbis of Southern California, consisting of hundreds of Rabbis, has fully endorsed the Tav HaYosher!